Listener in the Snow by Tim Jollymore tells the tale of Native Americans who are resistant to yielding to modern methods of conceptualizing and interpreting the world. Tatty Langille is a Floridian and a Mi'kmaq story teller who is in a fifteen-year marriage with Mary, also Native American. When Mary elects to go back to Minnesota after a 20-year absence, it is to help to midwife three babies who are about to be born into an uncertain world. There is an old Ojibwa legend about the Windigo, a frozen and cannibalistic spirit which surfaces from time to time. When Tatty elects to follow his wife to Minnesota, he finds himself caught in the blizzard of the century, unable to distinguish real life from dreams. He learns secrets about Mary and her relatives, and must then come to terms with many of the dreams that have haunted him for his own lifetime. The story is beautifully written in almost poetic forms with a myriad of metaphors and similes which will keep readers flashing back to their own unresolved life issues. 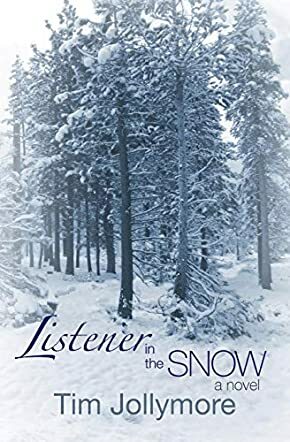 Listener in the Snow is one of those novels that keeps you guessing because it is difficult to distinguish between the everyday facts of life and the dreamlike states which intrude because of their trauma and poignancy. Tatty is a wonderful character, as is Mary. At times, you'll wonder if some of the Minnesota characters are even real but, in the end, they all fit together for an unforgettable resolution. Everyone has a secret and eventually that secret will be teased out in the most unexpected and perhaps unkind way. Author Jollymore tells the tale with foresight and cunning. A review such as this, that regards the undercurrents of narrative as well as the framework of story, completes the cycle that begins with writing a word on the page: Until a reader is touched by and understands both the stated and unsaid, the writer's job is incomplete. This flattering review reveals both depth and grasp inherent in, yes, the book, but, too, in the reader. Complete and intriguing.